VivaSight-DL is the new generation of Double Lumen Tubes with integrated high-resolution camera making placement of the DLT fast and effective and providing continuous visual monitoring throughout the procedure. Malpositioning and dislocation are easily detected with the real-time high resolution video image transmitted to the aView monitor. The full Ambu portfolio for SLV includes VivaSight-DL, and VivaSight-SL with integrated high-resolution camera together with the endobronchial blocker, VivaSight-EB, and the single-use bronchoscope Ambu aScope™ 4 Broncho Slim. The portfolio offers the flexibility to choose between different visualisation solutions – all contributing to increased patient safety. Overcome today´s placement and positioning challenges of SLV such as the need for repositioning during intubation and during procedure. Use saline or air to clean lens from secretion or blood. For inflation of tracheal and bronchial cuffs. Camera and 2 LED lights. Located in front of camera lens. Watch this video to learn more about VivaSight-DL and how to insert and confirm the final position. Intubation and airway management during lung isolation procedures present a series of challenges for even the most experienced team. VivaSight-DL overcomes todays challenges by offering visual control during placement as well as continuous visualisation during the entire SLV procedure. 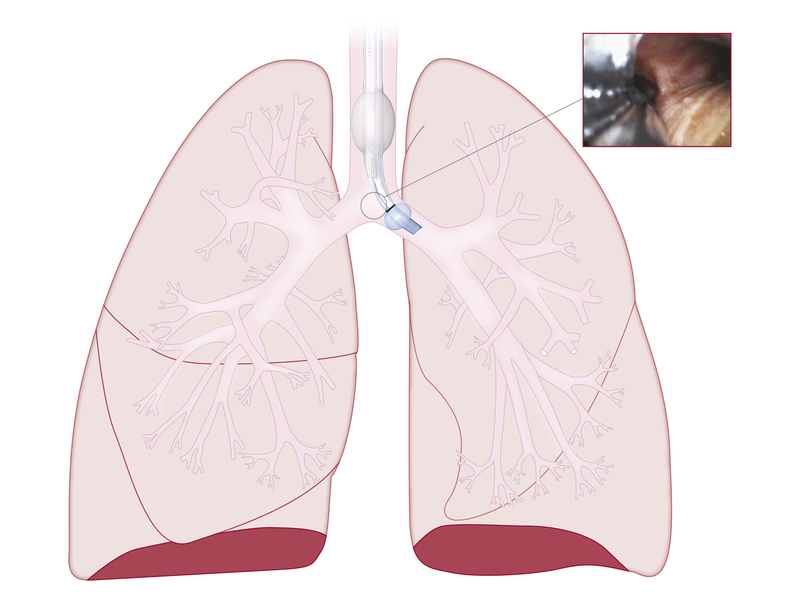 Visualisation during single lung ventilation improves patient safety and is increasingly recommended as good clinical practice. Do you want to try the new generation of Double Lumen Tubes with integrated high-resolution camera in your facility?